Atlanta has fairly mild winter weather but we do experience freezing temperatures and do see damage each year. We send out a version of these tips to all the tenants in properties we manage! Here’s our list of the top things to do to get your rental properties ready for winter! 1. Leave the Heat On. Remind your tenants to maintain a minimum temperature of 55 degrees Fahrenheit when they go on vacation. This will prevent the pipes from freezing and bursting due to the colder temperatures. 2. Inspect Your HVAC Systems. Inspect the heating and air-conditioning systems in your units to make sure they are running efficiently. Arrange for the filters to be replaced if necessary. Inspections are also a good idea this time of the year, cleaned, filters changed and checked for leaks. All smoke and carbon monoxide detectors should be checked and batteries replaced if necessary. 4. Watch Your Pipes. Completely drain out the outdoor pipes and sprinkler/fountain systems to ensure they don’t freeze in sub-zero temperatures. 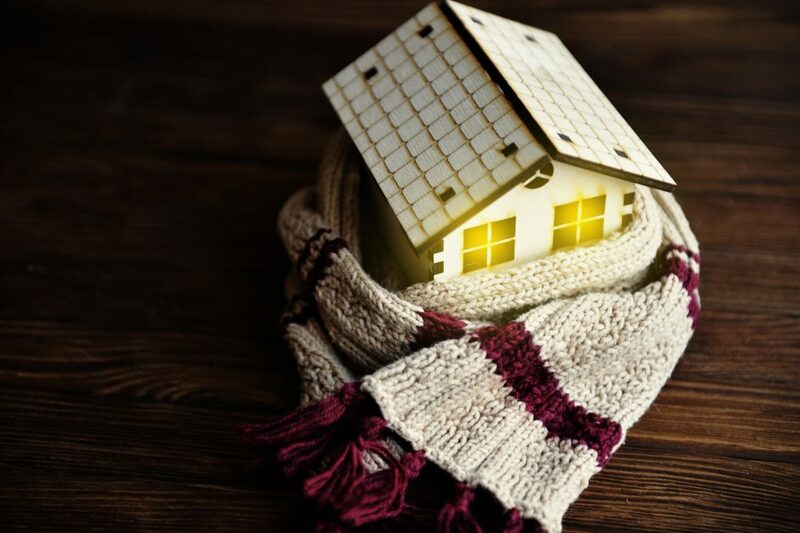 As an added precaution, winterize exterior plumbing and pipes in unheated parts of the property or common areas such as clubhouses by covering them with inexpensive foam pipe insulation. 5. Look for Cracks. It’s important to inspect the edges of doors and windows and the exterior walls of your properties for gaps or cracks through which heat loss can occur. Replace caulking or sealant as needed. 6. Inspect the Roof. Check the roof and chimney for broken or cracked shingles that can come loose during a storm. Since blocked gutters can cause snow dams and ceiling leaks on warmer days, make sure that the gutters and downspouts are completely clear and free of dirt and debris. You can also hire a qualified roofing contractor to perform a complete check of the roofing and do necessary repairs. 7. Prevent Falling Branches. Check for any weak tree branches (or trees!) that can fall due to high winds or snow accumulation and cause property damage, or worse, injure your tenants. 8. Clean Your Chimneys. If your property has wood-burning fireplaces, hire a professional chimney sweep to clean them and inspect them for any sign of damage or obstruction. 9. Test Alarms and Detectors. If maintenance of the smoke alarms and carbon monoxide detectors in the property are your responsibility as per the lease agreement, now would be a good time to test the devices and replace the batteries. 10. Check Vacant Properties. Conduct periodic inspections of vacant properties throughout the winter. If you are responsible for taking care of a vacation home that will be empty for the season, you may want to completely turn off the water supply, drain the pipes and toilets, and put non-toxic antifreeze in the toilet bowls. Make sure your tenants notify you if they are going to be out of town for more than a day or two.